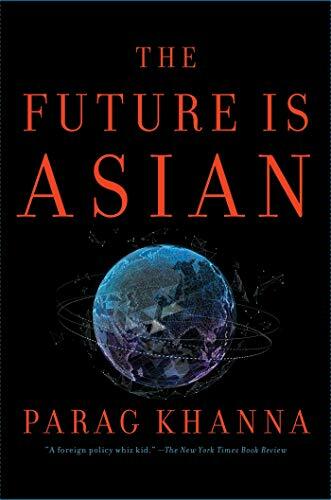 Parag Khanna’s The Future is Asian is the latest tome predicting that the 21st century will be the “Asian Century.” Relying on recent, mostly economic, trends, Khanna senses the beginnings of an “Asian-led world order” that will replace the current U.S.-led world order. This development, he explains, is the result of Asian “technocratic governance” (more on that later) and the West’s “mounting debt, rising inequality, political polarization, and culture wars” that have undermined Western dominance. The Asian ascendance, he is careful to point out, is not limited to China, though he calls China’s Belt and Road Initiative “the most significant diplomatic project of the twenty-first century.” India, Japan, the nations of ASEAN, Central Asia, Southwest Asia, Russia, and the Middle East are also contributing to this geopolitical revolution. Khanna begins the book by decrying the “Eurocentrism” of most global histories and providing what he calls an “Asian view” of world history. The Asian view of world history is that Asia played a central global role until Asian stagnation and European colonialism resulted in Europe’s and the West’s temporary eclipse of Asia on the world stage. Khanna points out that Asia hosts several of the world’s largest economies, some of its largest banks, great industrial and technology companies, and has most of the world’s foreign exchange reserves. China and India are leading the way. Asia’s trade with Europe exceeds either’s trade with the United States. Asia is also at the forefront of emerging technologies, including robotics and artificial intelligence. “Asia,” the author concludes, “is the most powerful force reshaping the world order today.” With the Belt and Road Initiative, China is “establishing an Asia-centric commercial and diplomatic system across the Indian Ocean to Africa.” It is also “reorienting the economies and strategies of the United States and Europe.” He believes that Asian “political and social norms” have growing worldwide appeal. It is evident from Khanna’s anti-Western perspective (which he does little to hide throughout the book) that he is cheering Asia on as it competes for global predominance. He is an unapologetic defender of Asia’s authoritarian regimes, including China’s. He is highly critical of U.S. policies and of democracy in general. He substitutes the phrase “technocratic governance” for authoritarian but that doesn’t change the nature of the regimes he admires. Khanna favors instead what he calls “technocratic government,” which “is built around expert analysis and long-term planning rather than short-term populist whims or private interests.” “Technocratic leaders,” he continues, “are selected more by IQ test than by popularity contest.” Nations should be ruled by “extensively educated, trained, and experienced professionals,” apparently even if they are selected by the nomenklatura of the Chinese Communist Party. U.S. concerns about Chinese neo-colonialism in Asia and Africa, Khanna writes, are idle “chatter” and hypocritical. China’s leadership of “Afroeurasia” would be an “overwhelmingly positive” development. Khanna sees nothing concerning about Sino-Russian strategic cooperation. The lessons of classical geopolitics are lost on him. Kahnna’s preference for world order is rule by a small, technocratic elite focused on “state capacity” rather than liberty and individual rights. It is as if the terrible lessons of the 20th century have been unlearned or forgotten. Fortunately, Khanna’s vision of Asia is at least premature. Throughout the book, he refers to “Asianism,” “Asia-nomics,” and “Greater Asia,” as if Asia was a unified continent with a unique global perspective. It is not. National identities are still strong in Asia. Not all Asians are comfortable with China’s rise and ambitions. Not all Asians want U.S. power to be removed from the region. Also, China is not without its own internal problems, including an aging population, a slowing economy, and instances of domestic political unrest. China’s decision to allow more economic freedom may ultimately result in its citizens desire for more political freedom.